The government expects the volume house builders to deliver the 240,000 extra homes we need each year. And it has cleared every obstacle to ensure the house builders get the land they need and the profits they want. But the private sector has never built much more than 150,000 in any year and it is against their market interests to increase supply. They operate across land and housing markets simultaneously and use the revenue from home sales to expand their land banks. It is in their interests to control housing numbers to keep prices high. They are much more interested in developing green field sites for luxury housing than in building starter homes. Their strategy is to prioritise margins over volume and it is working for them – their revenues and share prices are rising nicely. Help to Buy threatens a repeat of the sub-prime mortgage crisis by underwriting loans and deposits for home buyers. Making credit easier to get did not increase supply (see above for reasons) but just increased demand. It put house prices up at the same time as making it a bit easier for a few people to buy them. The result was 31,000 first time buyers helped but 200,000 extra households priced out. Help to Buy is reckoned to have put an extra £8250 on the average house price. Lowering inheritance tax and issuing help to buy ISAs have also helped boost the inflationary house price spiral. It’s classic liberal economics and straight out of Friedrich Hayek – rent subsidies distort the workings of the market and mess up supply and demand. In other words if you cut housing benefit in high value areas, prices will stabilise and someone will start building more homes. What do you mean it doesn’t really work like that? So now many areas across the country are totally unaffordable to anyone except international property investors, private tenants fork out half their income on rent, London boroughs ship off their homeless to uncharted territory, and a new and angry tenants movement is on the march. Discounts on the right to buy for council housing were increased in 2010 with the promise of like for like replacement – a pledge immediately fenced around with caveats. 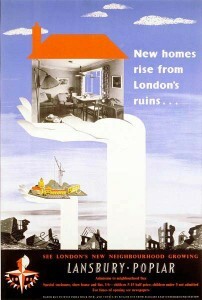 Since then 11000 more affordable homes have been sold off and only 900 built in replacement. Since the right to buy was introduced in 1980 over 40 per cent of stock sold has ended up in the private rented sector. Right to Buy proved to be Buy to Let. It increased the cost of renting and lost for generations the chance of a secure affordable home. Sales and demolition of social housing have increased through the government’s affordable rent programme. The bedroom tax has forced housing associations to sell off decent two and three bedroom homes because they can’t let them. Local authorities and housing associations continue to demolish social housing to cash in on high land values. Now we have the right to buy for housing association tenants – a voluntary agreement by social and charitable landlords. This will be funded by the sale of council housing in high value areas. This means the London borough of Westminster will lose 90 per cent of its affordable housing. Cambridge will lose 40 per cent of its affordable homes. 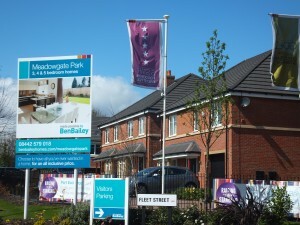 And housing associations have been given a pledge of like for like replacements. I think we’ve heard that before. Everything the government does to solve the housing crisis is factored on the belief that housing works like a ‘normal’ market. That is supply and demand work together to ensure there are enough homes at the right prices. Their entire strategy is based on the idea of restoring the normal working of supply and demand. That means getting rid of any regulation, like planning restrictions on access to green field land, pesky sustainable homes standards, and all public interventions in the market need to stop – cutting housing benefit and privatising or clearing social housing. But any housing economist will tell you that housing is not like other commodities. It’s a public good – it’s there for generations and not just for personal use. It’s hugely expensive to build and buy and keeping its price high is important not just to the global financial services industry, the property market, the developers, but to the government and the economy. Meanwhile a house is also land and land is a finite asset, and much of it in the UK is owned by a very small number of, mostly, titled people. So supply and demand do not work in the housing market because it is many different markets all lumped together in one essential human need – shelter. The only time this country has built enough homes to meet housing need was when we were building council housing. Up until the 1970s half the homes built in this country were affordable rented homes built by councils. Council housing gave a secure and affordable home that provided social mobility and aspiration to generations of working families. Council housing was stopped by the Thatcher government – who also abolished rent controls – and that is why we have a housing crisis.